Things picked up in the Women's match, as Paige defended the Title against Emma. While not on the level of the Four Horsewomen era, this match was a good indication of where the NXT Women's division was headed, and pretty much annihilated anything the main roster Divas division was doing. Both ladies worked a gritty, dramatic match that started off a bit plodding but escalated nicely toward the end. Paige debuted her Scorpion Crosslock finisher (one of my absolute favorite moves) for the submission win. Xavier Woods vs. Tyler Breeze was thrown out less than a minute in, when Rusev attacked both guys. Umm, ok. Why not give Rusev an actual match on this show instead of having him lay waste to two promising talents? 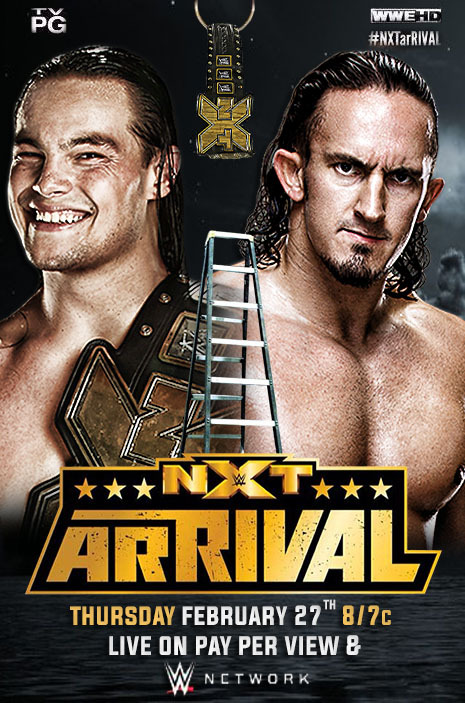 The main event pitted NXT Champion Bo Dallas (a fairly effective chickenshit heel prior to his main roster burial) against Adrian Neville (a very effective aerial master prior to his main roster burial) in a Ladder Match. Pretty good stuff here, though several innovatively brutal spots were teased but not delivered. Ultimately it was a very safe, WWE-style Ladder Match but it put Neville over as the new face of NXT, and this was the first time the NXT Title felt like a standalone championship, rather than a feeder for the main roster. Overall this was a solid debut special for NXT; the brand began to emerge as its own attraction as opposed to just a developmental system. They included a few bells and whistles (like Shawn Michaels ceremoniously hanging the belt from the ceiling) to try and hook the main roster audience, but in the end it really was about establishing NXT as a viable third WWE brand. Like the debut album of a great band, this show felt like NXT hadn't quite found its voice yet, but it was a good start. What I'd Change: The Ascension were really not up to the task of being the company's dominant team. But if you must feature them, give them stronger opponents than Too Cool, for God's sake. Also Woods vs. Breeze should've been an actual match. Stay tuned for NXT: TakeOver!